In this age of Pinterest and DIY projects, it is easy to believe that we can put all types of matter into our hands. However, there are some things that should be handled by capable professionals. One project that you should not try to fix on your own is water damage restoration. When you try to remove water damage on your own, you can cause more danger than there is present. There are several issues that can confront you when you try to DIY the water damage restoration process on your own. The first step that is undertaken during the water damage restoration process is the removal of water. This part of the water damage remediation process can be done by the residents. It entails removing all visible signs of water found in the area. You can use a dry towel to absorb all the moisture that can be seen by the naked eye. However, there are others who use paper to drain out the moisture. This can cause more damage since the ink from the paper can transfer to the surface. It will cause an added problem since you will also have to deal with ink removal. With a professional water damage restoration company, the extraction will be done in a thorough manner to cover all spaces that have been drenched in water. Once the water is all dried out, it is time to remove the moisture from the surface. This will help keep the molds from growing around your home. 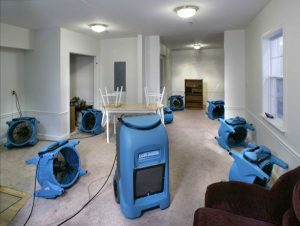 Professional water damage restorations companies use highly specialized equipment to ensure that the drying and dehumidification process is complete. If you are an individual trying to DIY the water damage restoration, you are not fully equipped with the necessary tools. When working with a professional, you can be certain that they are able to remove all the moisture found on the surface of your home. It is important that a professional will do it since this process can ensure structural integrity. Moreover, dehumidification of a wet surface cannot be easily done without the use of highly specialized types of equipment. This part of the water damage restoration process deserves specific care and attention. This is because this will ensure that your home can go back to its original state before the water damage affected your home. You can be certain that all the bacteria left during the water damage can be efficiently removed from the surface. A professional water damage cleanup company is able to remove all germs and bacteria that can be invisible to the human eye since they are trained to do this type of task. They also employ added steps to ensure that your home is not prone to mold growth, which can commonly occur after a flood. When dealing with water damage around the house is the possibility of being electrocuted. There can be faulty electrical wirings around your home, which can increase the possibility of electrical accidents. When the exposed electrical wires have been in contact with water, you can be certain that the dangers can be beyond your imagination. If you have decided to do the water damage restoration on your own, the entire process can prove to be fatal. Despite the careful preparations that you will undertake during your water damage restoration, you cannot be fully assured that there are no wirings that can cause electrocution. The water after a flood is usually filled with germs and bacteria that can cause health hazards. You can become more prone to sickness and disease if you attempt to clean up water damage on your own. Even if you wear protective clothing, there is still a high chance that you can come in close contact with bacteria when cleaning up water damage. Once you are exposed to bacteria for a long time, you are also prone to contracting diseases that can lead to fatality. If you decided to do the water damage restoration on your own, you may not be able to kill all the bacteria present in your home. Carrying furniture soaked in water can also cause added danger. First, it comes with the danger of slipping. Since your furniture is wet, it is easier for it to slip when you hold on to it and it poses danger to you. Second, the pieces of furniture will have added weight after it has been soaked in water. You might be able to carry that sofa before the water damage, but it might become heavier after a flood. On top of that, you may end up with broken bones if you have mishandled the lifting of these items. With a professional water damage restoration process, all of these overlooked aspects will be properly dealt with. Another possible danger that will confront you after a flood is the potential growth of molds. We all know that the presence of mold can pose a great danger to one’s health. Molds thrive with moisture and a DIY water damage restoration does not completely eliminate moisture in key areas. Professional water damage restoration will allow a more thorough and complete cleanup of any remaining moisture. This will ensure that molds will not grow around your house even after flooding. The presence of molds can lead to respiratory issues, which results in breathing difficulties among many others. When the mold is extremely damaging, it can also be fatal for those who are in close contact for a long period of time. When you try to restore a water damaged home, there are several physical dangers that are waiting for you since the structure of your house is significantly weaker. Walking on the floor can be dangerous since you are prone to slipping. Any foundation or structure that is made of wood is also weaker and can collapse easily after being exposed to flood. With a professional water damage restoration process, you are not faced with the trouble of dealing with any potential structural weakness. One of the advantages of calling a professional water damage restoration company is that they use the right types of equipment to complete the process. When you are an individual trying to complete the water damage restoration process, you will only be using equipment that is commercially available in the market. On top of that, you will only try to use cheaper alternatives to save on cost and it may not be able to do the trick for you. A professional water damage restoration company has invested in an inventory that specializes in water damage. This means that they are fully equipped to deal with water damage in a professional manner. Another edge of having a professional water damage restoration company do the work for you is the professionals who will do the job. These professionals are trained to ensure that your home will be back in its original state in no time. With professionals dealing with your water damage concern, you can sit back and relax without inflicting any injury on yourself. On top of that, you can be certain that all the potential concerns are properly dealt with since they have faced the issue several times over. 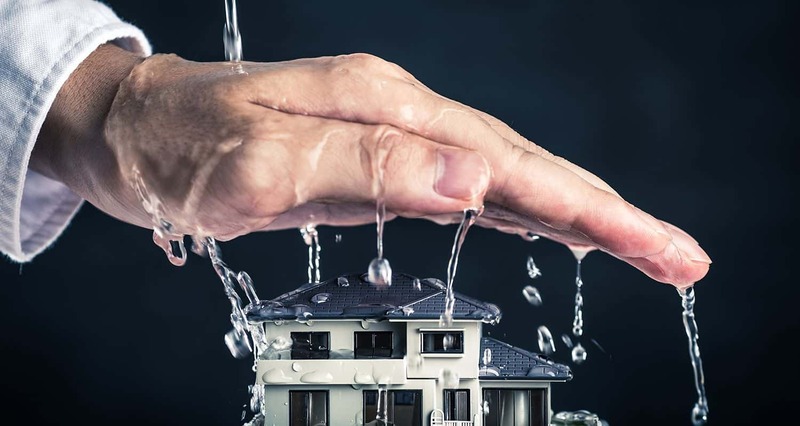 When compared to an individual doing the water damage process restoration on their own, a professional will be able to cover all the problems in a professional manner. This is why it is important to call the professionals when dealing with any water damage caused by the flood. When you call a water damage restoration company, you would be surprised at how quickly they respond and finish the task. You may think that they are not doing the job completely, but their quick response is attributed to their experience with the job. It will be easier to deal with the problem if you know where to look. When you have years of experience in the business, you would know the key areas that have water damage restoration problem. The most common areas are the bathroom and the kitchen, but water damage experts know where to look for further troubles. If you know where to look, it cuts your working time in half. Therefore, you may save up on time and effort when you work with a professional water damage restoration company. In conclusion, you may think that you are saving up more money when fixing the water damage on your own. However, the truth is you may end up causing more trouble when you DIY the water damage restoration process. With the help of a professional water damage restoration company like Lakewood Restoration Pro, you can save up on money, time, and effort.